While we are primarily a membership fee-driven organization, there are many who resonate so deeply with our mission and vision that they desire to contribute gifts above and beyond the membership fee. If it is your desire to give in this fashion, you may do so by clicking here to make a one-time donation. Likewise, many of our members and supporters throughout the world desire to be in a deeper relationship with us and have chosen to support the organization on a monthly basis. We can make this possible through debit or credit card, or through direct ACH deposit. If you would like to become a monthly supporter, please click here. If one or more of our initiatives resonated with you, you may designate funds to be given directly to that initiative. 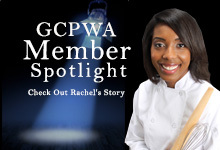 If you would like to support one or more GCPWA initiatives, please click here. Membership fees for college students are $50 versus the $100 regular membership fee. 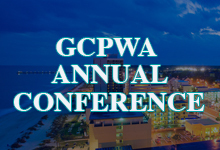 You can help a college student’s development by granting them a membership into GCPWA by clicking here. Volunteers are the lifeblood of any organization. If your heart is aligned with our mission and vision, there are a variety of ways for you to help us out by volunteering your time. Click here and we will contact you regarding opportunities. If your organization has materials that you feel can be helpful in the advancing of our cause, please click here and we will be in touch with you.